I'm writing about Crete again today and our trip on a boat to the island of Spinalonga, which also happened to take in the sunken city of Olous - and also a mermaid! Our destination of Spinalonga is now an uninhabited island but has been previously used as a leper colony. It's an eerie place with all of the buildings now deserted, including a Venetian Fortress dating back to 1579. The fort was used to protect the port of Elounda. But first Olous, the city now beneath the sea. I was actually a little disappointed as I had been told that when the sea is calm, the walls of this ancient city can still be seen beneath the waves. I must have gone on the wrong day as all I saw from the boat was, well, the sea. My wife and I did go walking, however, on another day and saw walls visible above the sea level. Olous (or sometimes Olus) goes back to the Minoan era which is around 3000-900 BC, so we are talking about a city some 3000 or 4000 years old. Records estimate that the population was around 30,000. The residents worshiped the gods Tallaios, Zeus, Apollo and Vristomartis. As to why Olous disappeared there are two theories: either a severe earthquake - which seems the more likely to me - or perhaps a landslide. Either way the date of this happening was around 780 AD. Moving on to the island of Spinalonga. There is a theory that this was made by the Venetians by cutting away the nearby peninsula and thus creating an island. The island was then used as a fortress to protect the now sunken city of Olous and also Elouda in later years. 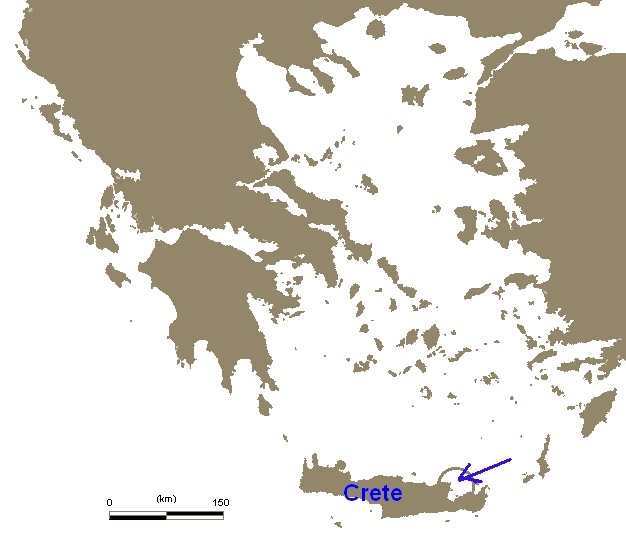 A resistance movement operated here in the late 1600s and early 1700s and it was not until 1715, 46 years after the Turkish conquest of Crete, that the fort finally surrendered. In 1903 Spinalonga was turned into a leper colony with horrific, prison-like conditions. In 1957 the colony was finally closed leaving the island uninhabited with the town and fortress in ruins. The lagoon and area surrounding Olous and Spinalonga is very peaceful and there is a Cretan legend that Britomartis, a mermaid goddess, frequents the waters even today. She was thought to have been the daughter of Carme and Zeus. Britamartis means, in the Cretan dialect, sweet maiden or sweet virgin. She was also known as Diktynna, a mountain nymph. Never managed to catch a glimpse of the mermaid but I'm sure she was out there somewhere. Probably a little shy! Great photos. You really capture the eeriness of the town and the incredible beauty of the surrounding water. What happened to the patients when the place was closed? I'm sure that mermaid was out there! Trish: The lepers were transported back to the mainland but many died. I have a photo of the graveyard on Spinalonga - no names or memorials, just graves. As I understand it the lepers were treated dreadfully in almost prison like accommodation. Sad how we treat others in the world at times. looks like you are nor promoting crete as well as cornwall! interesting stuff mike. oh, mike, you didn't see the mermaid? but she was right there, in the top image - in the foreground, she emerged right beside the little whitecap, waved and then went back under - so sorry you missed!! !